The big-box retailer also announced several other connected-home appliances and tools, including a programmable room air conditioner. If you’re like most people, the only time you think about lawnmower maintenance is when the mower won’t start on a Saturday morning. The latest Craftsman-brand riding mower from Sears won’t let you forget, it relays its maintenance needs to your smartphone. 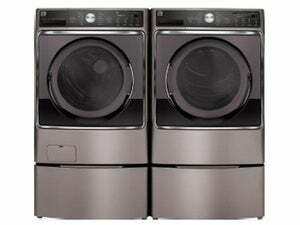 It’s one of five new connected-home products that the big-box retailer announced today. Sears made a big play in the connected-home market last year, unveiling connected-home showcases at a number of its retail stores. Now the company is adding connectivity to a number of its own products marketed under its Craftsman, Kenmore, and DieHard brands. These include a new air conditioner, a water softener, a water-heater module, a car/motorcycle battery charger, and the aforementioned mower. 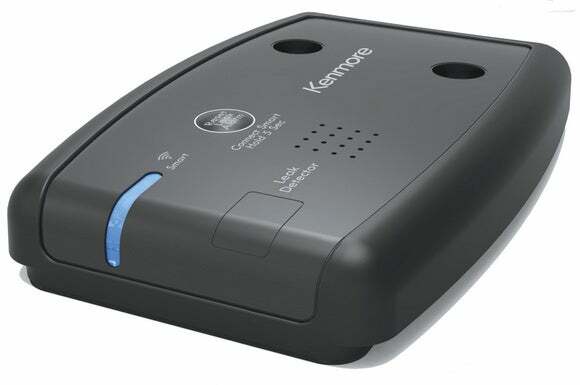 Some Kenmore-brand water heaters can be retrofitted with Sears’ Kenmore Smart Water Heater module. Consumers will see these products appear in select stores and online over the next few weeks and months, with additional ones appearing throughout the rest of the year. Each product will be capable of exchanging information with a smartphone or tablet so you can keep track of maintenance, adjust settings, and in some cases, remotely control the device (an unlikely scenario for the mower). For now, however, it looks as though each product will be an island unto itself. Sears apparently has no plans to integrate the hardware into any of the connected-home platforms currently on the market. 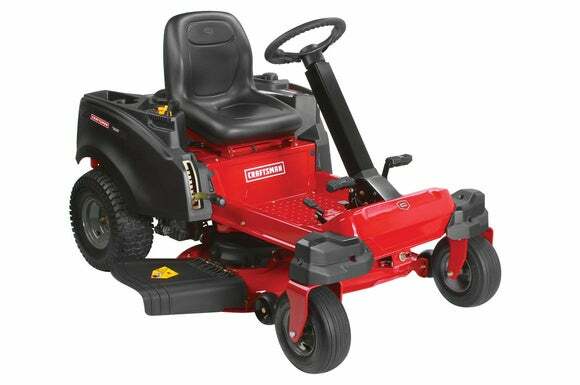 Craftsman is Sears’ house brand for lawn and garden equipment as well as tools. The company has developed a Craftsman Connect app that can communicate with its Craftsman Zero-Turn Steerable Riding Mowers, enabling the mowers to send maintenance reminders to your smartphone or tablet. Riding mowers are expensive investments. Two new Craftsman models will send alerts to your smartphone whenever they need maintenance. The dual-blade mowers will be available in two deck sizes—a 42-inch model that will sell for $2800, and a 50-inch model that will fetch $3200. Whenever the mowers need an oil change, an air-filter replacement, or if issues arise related to the blades or wheel alignment, it will send an alert to the app. You’ll then be able to schedule maintenance through Sears. If you’re the DIY type, the app will display videos showing you how to perform basic maintenance tasks. Sears will launch three smart products under its Kenmore brand: a room air conditioner, a water softener, and an add-on module for retrofitting certain Kenmore-brand water heaters. The $300 Kenmore 8000 BTU Smart Air Conditioner, available now online and in select stores, can cool up to a 350-square-foot room. The unit connects to your home Wi-Fi, so you can program and control it with an app. The app also alerts you when the air-conditioner’s filter needs to be cleaned. A water softener uses common salt to remove the calcium, magnesium, iron ions that can leave stains and mineral deposits on your fixtures, appliances, and glassware. Sears’ Kenmore Smart Water Softener, $800, connects to an app on your smartphone and will send you an alert when the salt runs low. The app can also monitor water flow, alerting you to possible leaks in your plumbing. Sears’ Smart Water Heater Module, $70, can retrofit select new and existing Kenmore and Kenmore Elite-branded water heaters, adding the ability to monitor and control water temperature and usage. Since tank water heaters keep water hot 24/7, they waste a lot of energy keeping water hot even when you don’t need any. With this module in place, you can set up your water heater so that it prepares hot water only during the hours you need it, turning it off when you’re away from home or asleep in bed. Sears’ DieHard batteries were on the market years before the movies made Bruce Willis a multi-millionaire, and the company has offered battery chargers under that brand name for almost as long. The $100 DieHard Smart Charger is priced twice as high as its dumb variety, but Sears hopes to entice you with its ability to monitor the process and check the health of your battery on your smartphone or tablet. Automatic voltage detection (6 volts for motorcyles and lawn tractors/12 volts for cars and boats) is another nice feature that could help avoid a potentially dangerous situation.